It has been nearly two weeks since Facebook Timeline was officially announced and at that same week I posted how you can activate or enable Facebook Timeline on your own profile. However, for those who followed my instruction you should be aware that ONLY us who have activated the Facebook Timeline beta application can only view the changes (and your friend would be able to view it as well if they activated their Timeline as well). 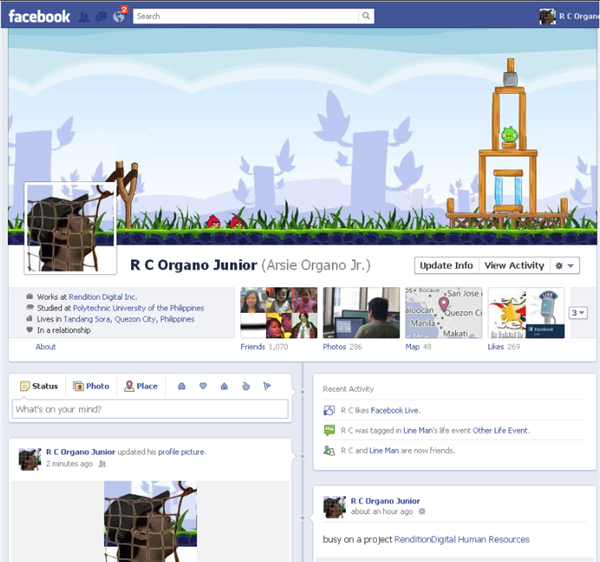 So, here’s a simple step on how you can create your own custom Facebook Timeline Cover photo. And the most important ingredient of all – Creativity. I really cannot go into the details but what I can give you is an idea on how you can do it for yourself. Anyway, for those who can’t get this done on your own, I will try to create more and more designs and post it here on my blog site for you to download and all you have to do is upload it on your Facebook Timeline. Before you start with creating your own Facebook Cover photo, think of a perfect theme you want to put in your Timeline profile. For example in my case, I picked Rovio’s popular game – Angry Birds. The cover photo or the larger picture/banner will serve as the Angry Birds’ battleground while my profile picture will serve the head replacing the exploding Angry Birds ready to be slung anytime. Use the Timeline Profile Main Template as your main guide to check whether your design fits the sizes I’ve mentioned above. 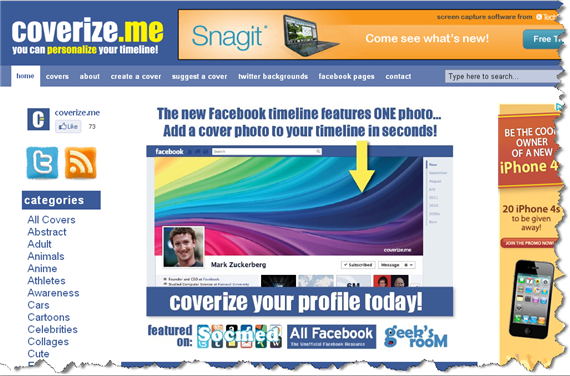 While the the Cover Photo, put the larger picture there (851 x 315 pixels) and use profile photo template to re-size your picture. Once you’ve picked your own design for your cover photo and profile picture, just upload it on Facebook and basically that’s it. 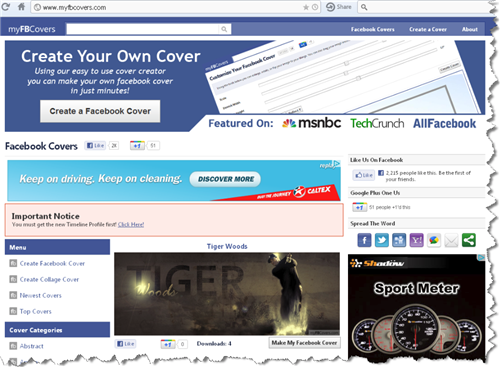 If you still don’t get it, here are some third-party websites that offers custom Facebook Timeline covers. 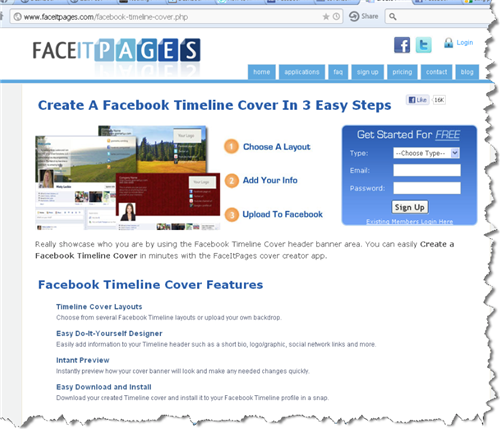 The following websites have been spotted and their main purpose is to aid you to create your own custom Facebook Timeline cover. Here’s some pre-made Facebook Timeline Cover images I created, feel free to download (to be updated). Pretty much simple and easy to follow.